It's simple - GR Auto is the largest consignment dealer in the Mid-West, with over 400 vehicles in stock at our three locations. With over 1,000 vehicles sold annually, GR Auto Gallery has the tools and knowledge to maximize sales. Trades - GR Auto Gallery is happy to consider trades and our knowledge and exeperience with a wide range of vehicles ensure we can give an accurate and fair offer. No Hassles - GR Auto Gallery completely emliminates the hassles of selling any car. No missed appointments, no waiting on potential buyers, no negotiating, and no scams. Our expertise in the business give us the edge to best represent your vehicle. Advertising and Exposure - From our large online presence to our big indoor showrooms, GR Auto Gallery goes great lengths to make sure your vehicle reaches every potential buyer. 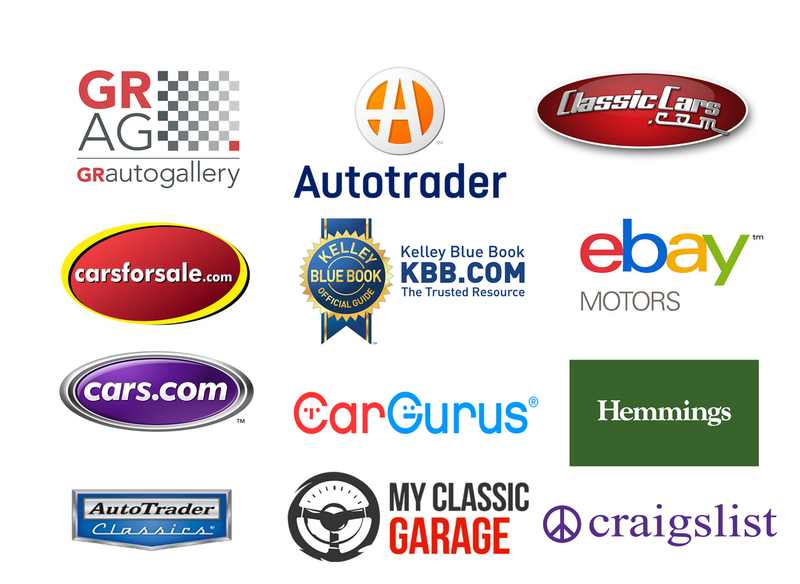 We advertise on a wide range of sites and have sold cars in all 50 States as well as over 100 countries worldwide. Financing - GR Auto Gallery works with many convenient and reputable financing companies to help make purchasing as easy as possible. This helps open sales opportunities to more than just cash deals. Transportation - The vast majority of our sales are out of state and abroad which opens a wide pool of buyers. We have full time staff that are dedicated to help shipping your cars. Respect for Your Vehicle - All three of our sales locations have knowledgeable and caring staff who will treat your vehicle with care. Our indoor facilities are climate controlled and our experience mean we know how to properly care for vehicles ranging from pre-war classics to high tech luxury. Insertion Fee -GR Auto Gallery charges a small upfront $295 insertion fee that helps pay for advertising as well as indoor storage. That fee covers a 120 day extendable contract to market and store your vehicle. Our expert staff takes over 100 photographs as well as two HD videos to best represent your vehicle. We take extensive photographs of your vehicle for all advertising purposes.